The VersaFrame is a construction system that allows teams to build an upper frame in whatever configuration they can imagine. Pre-drilled holes on a standard 1" pitch are designed to be used with #8 screws and 5/32" rivets, and can be easily drilled out for larger hardware. No need for precision fabrication capability - with just a saw and a drill, any team can build light-weight world-class frames. 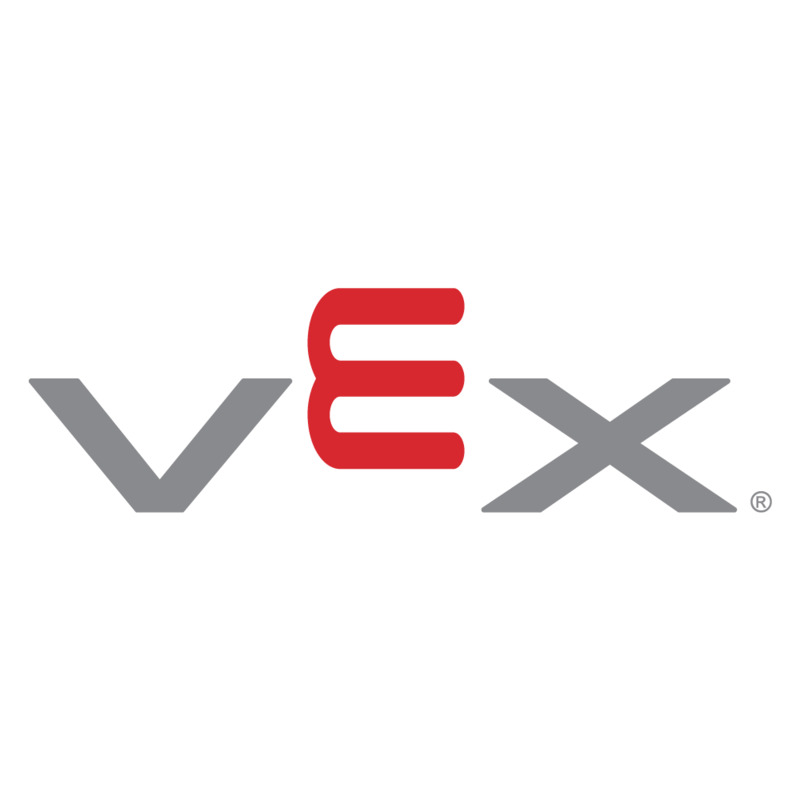 VersaFrame linear motion gussets allow for seamless integration into designs incorporating lifts or other motion elements. The VersaFrame Roller Chain Mount provides a simple yet effective method of directly attaching structural parts to #25 or #35 chain. 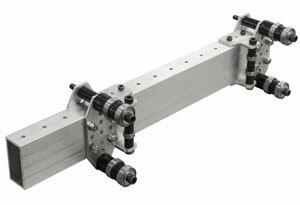 In tandem, these components can be used to create elegant linear elevators and other moving sub-systems. During Build Blitz 2015, two new parts were designed for that year's FRC game, Recycle Rush. 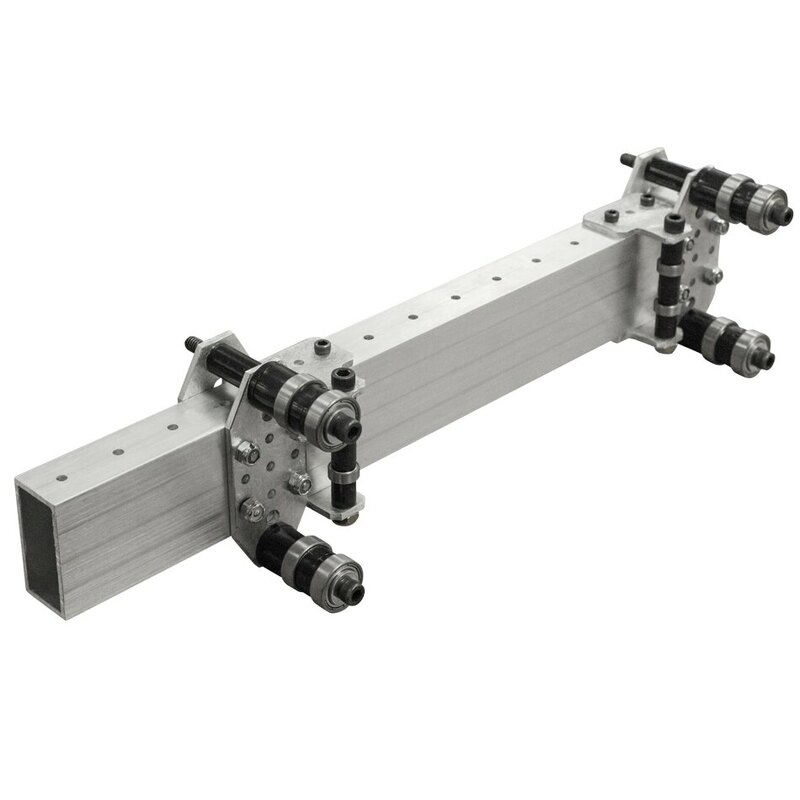 The VersaFrame Roller Chain Mount is designed to bolt directly onto #25 or #35 chain, and the VersaFrame Linear Motion Gusset Kit helps enable a quick and simple sliding mechanism. While these parts were produced during Build Blitz to construct a linear elevator, it is possible to create a vast array of moving mechanisms with them. Download the STEP file from the Build Blitz 2015 Linear Elevator here. a linear elevator, see the drawing for 217-4399.